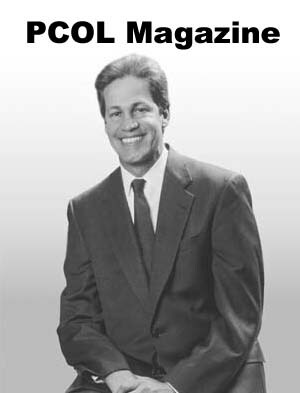 Minnesota Senator Norm Coleman, Chairman of the Senate Subcommittee that oversees the Peace Corps, and a strong supporter of the President Bush's full appropriation for the Peace Corps for FY2004 of $359 million. 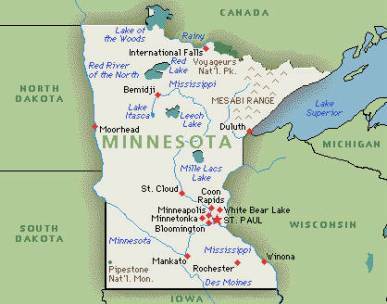 The NPCA National Advocacy Network is asking Minnesota RPCVs to call the Senator's office and ask him to introduce an amendment to the Foreign Operations Appropriations bill that would restore full funding of the President's Request for $359 million for the Peace Corps in FY2004. Read and comment on this action alert that we have seen on several RPCV listservs from the NPCA National Advocacy Network asking Minnesota RPCVs to call Minnesota Senator Norm Coleman, Chair of the Senate subcommittee that oversees the Peace Corps, and pass on the message that you want Senator Coleman to initiate an amendment to the Foreign Operations Appropriations bill that would restore full funding of the President's Request for $359 million for the Peace Corps in FY2004. Returned Volunteers in Connecticut can help by calling Connecticut Senator Chris Dodd, a Peace Corps Volunteer who served in the Dominican Republic in the 1960's, and ask him to co-sponsor the amendment with Senator Coleman. President Bush asked Congress for $359 million for Fiscal Year 2004 (which starts 10/1/03) to run and, more importantly, expand the Peace Corps. THE PEACE CORPS RECEIVES ITS FUNDING THROUGH THE ANNUAL FOREIGN OPERATIONS APPROPRIATIONS BILL, WHICH ALSO FUNDS MOST OTHER FOREIGN ASSISTANCE PROGRAMS. The full membership of the House HAS PASSED AN FY 2004 FOREIGN OPERATIONS APPROPRIATIONS BILL (HR 2800) , WHICH INCLUDES $314 MILLION FOR THE PEACE CORPS. THIS IS $45 MILLION BELOW THE PRESIDENT'S REQUEST OF $359 MILLION FOR FY 2004. The SENATE APPROPRIATIONS COMMITTEE HAS APPROVED AN FY 2004 FOREIGN OPERATIONS APPROPRIATIONS BILL (S.1426), WHICH WOULD FUND THE PEACE CORPS AT $310 MILLION. THAT IS $49 MILLION BELOW THE PRESIDENT'S REQUEST FOR FY 2004. (THE SENATE APPROPRIATIONS COMMITTEE ALSO PROVIDED AUTHORITY TO TRANSFER $20 MILLION FROM THE GLOBAL AIDS INITIATIVE TO THE PEACE CORPS FOR HIV/AIDS ACTIVITIES. THE HOUSE HAS NOT ADDRESSED THIS ISSUE.) S.1426 has yet to be voted on by the full Senate membership, a vote that may take place in the next 5 days, by 8/1/03, after which the Senate goes on Summer Recess. Minnesota Senator Norm Coleman is the Chair of the Senate Subcommittee in charge of the Peace Corps and a strong supporter of President Bush's full appropriation for the Peace Corps for FY2004 of $359 million. 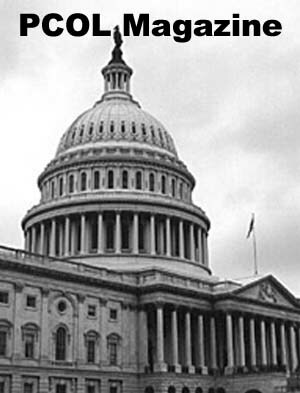 The NPCA National Advocacy Network is asking Minnesota RPCVs to call the Senator's office and ask him to introduce an amendment to the Foreign Operations Appropriations bill that would restore full funding of the President's Request for $359 million for the Peace Corps in FY2004. Word has it that Senator Coleman wants to make his mark as a Freshman Senator by restoring the full funding of $359 million for the Peace Corps. HELP HIM DO THIS! Call Senator Coleman¹s office at 202-224-5641 (or fax him at 202-224-1152). You may email him at <opinion@coleman.senate.gov> but this is not nearly as effective as a personal call or a fax. Ask to speak to the Staffer in charge of Peace Corps affairs. Tell him/her who you are and your address (they only listen to constituents). Ask them to pass on the message that you want Senator Coleman to initiate an amendment to the Foreign Operations Appropriations bill that would restore full funding OF THE PRESIDENT'S REQUEST FOR $359 MILLION FOR THE PEACE CORPS IN FY2004. Suggest that Sen. Coleman could talk to Sen. Chris Dodd of Connecticut to launch a bipartisan amendment to this effect. SENATOR COLEMAN IS THE CHAIRMAN AND SENATOR DODD, AN RPCV, IS THE RANKING DEMOCRAT ON THE WESTERN HEMISPHERE, NARCOTICS AND PEACE CORPS SUBCOMMITTEE OF THE SENATE FOREIGN RELATIONS COMMITTEE. You need to act in the next 24-72 hours from the time you receive this email. If the Senate votes on the Foreign Operations Appropriations Bill, which includes the funding for the Peace Corps, it will be by this coming Friday, August 1st. Thank you! And please email us at advocacy@rpcv.org. Let us know what you did so we know how effective we are in mobilizing our advocacy network. 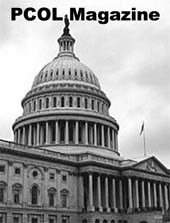 Read and comment on this email from the NPCA Advocacy Listserv on July 21, 2003 that the Peace Corps is facing the strong possibility of a funding disaster in Fiscal Year 2004. Addendum to the original message: The $314 million appropriation passed the House on July 24. The Senate has yet to consider the bill and will be in recess until early September. RPCVs should call their Senators and ask him or her to support an amendment to the Senate Foreign Operations Bill for the full $359M Peace Corps approriation. The stakes are still just as high now as when the original action alert was posted. If RPCVs can work together, there is still time to save President Bush's proposed budget for the Peace Corps from the House $49M in cuts. (This addendum posted August 7).